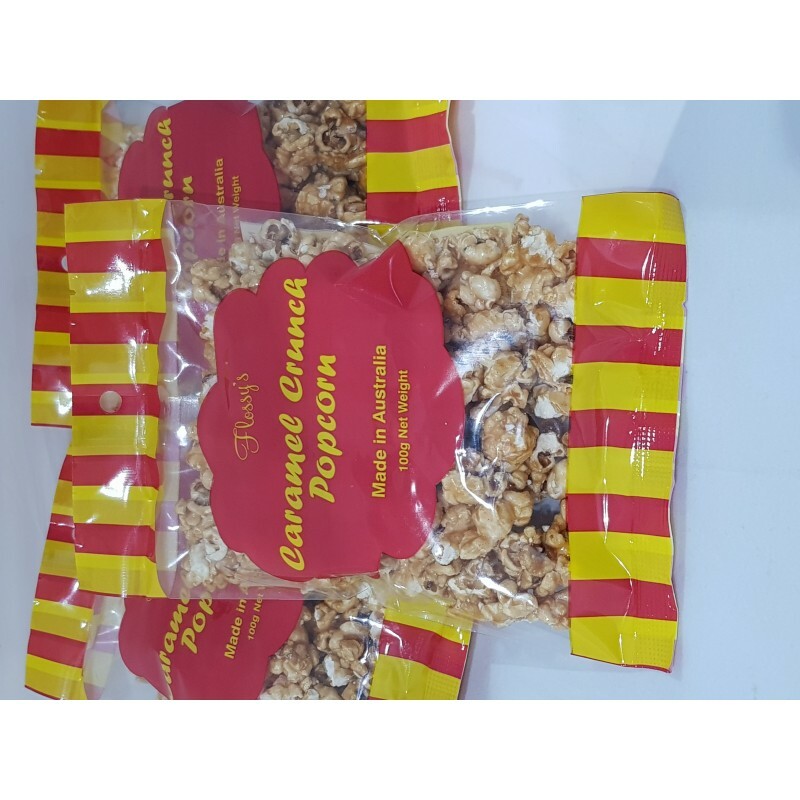 Your are purchasing a box of 1 bags of our 100g caramel popcorn. This product is great for showbags, hampers, and the like. It is great in the catering industry and bought to add a crunchy texture to add to deserts, but you may just want to sit down, watch a movie and devour the whole bag on your own! A handmade product and delicious.